A Practical Guide to Cryptography Principles and Security Practices Employ cryptography in real-world security situations using the hands-on information contained in this book. InfoSec expert Chuck Easttom lays out essential math skills and fully explains how to implement cryptographic algorithms in today's data protection landscape. Find out how to use ciphers and hashes, generate random keys, handle VPN and WiFi security, and encrypt VoIP, Email, and Web communications. 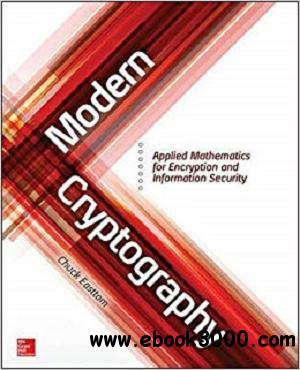 Modern Cryptography: Applied Mathematics for Encryption and Information Security covers cryptanalysis, steganography, and cryptographic backdoors. This book is meant for those without a strong mathematics backgound.? Only just enough math to understand the algorithms is given. The idea of the book is to be a gateway to enter the world of cryptography.